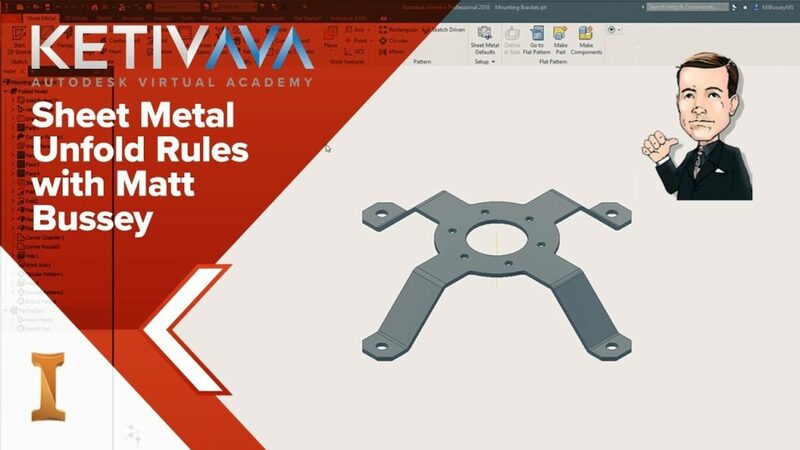 If you missed Matt Bussey's AVA on Sheet Metal Unfold Rules, now's your chance to watch it and get access to supplemental materials. For those who took the time to view my AVA on Sheet Metal Unfold Rules I wanted to give you a little extra to go along with it. First, I have a couple of extras for you. The Inventor IPT file (Inventor 2018 format), has the DIN 6935 formula in it, as well as the Bend Allowance formula from Machinery’s Handbook bend allowances already added in as Unfold Rules. You can use those as a starting point for your own Unfold Rules and you can find them attached here.